Share campaigns, deadlines, and more with the whole team online. 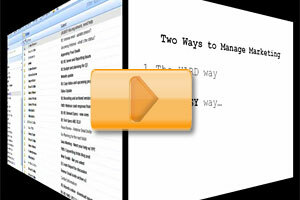 Upload copy, design, and any marketing file. Share it with everyone. Easily plan, control, and report your marketing expenses. 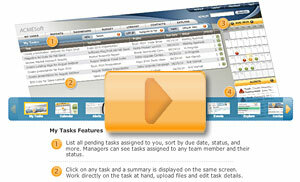 Assign tasks, track deadlines, and manage your workflow online. Aprix Solutions provides Marketing Resource Management (MRM) software delivered online as a SaaS (Software as a Service) application, giving you the tools you need to get the job done. The easiest to use Marketing Resource Management web application out there, Aprix Marketing Manager is your software marketing platform that helps you plan, execute, monitore, and evaluate marketing campaigns and projects online. It simplifies the tasks required to manage your marketing resources to give you the ability to maximize your time in what you need most: Marketing! Explore our website to learn more about how you can improve your marketing productivity and effectiveness by using our online marketing solution. Contact-us for a live demo today.